The past two years have been a process of clearing, letting go, clarifying, and growing into the spaces that were not as of yet occupied by my spirit. I'm still in it, but increasingly with some newly-found ability to breathe and trust more than other times in my life when this process has rolled around. It's been therapeutic and a little bit addicting to let go of material belongings - there is still much more to go in this department - as I continue to hear my spirit's calling toward a much simpler life. 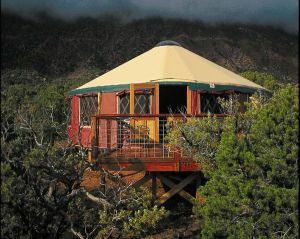 I'm nowhere near ready or skilled enough to live off-the-grid and self-sustainably but it is a beautiful, inspiring vision to hold in my heart and mind - not so much alone as with a community of people also wanting to live in that manner. For now, I continue to have garage sale after garage sale to let go of the clutter that once filled the house. This house is my home and I love it but I also realize it is more than I need, and the memories in it still sting at times. My horoscope for tomorrow asks what dinosaur I may be trying to keep alive when a new era is ready to come rolling in... So much of my life has already transformed it is hard to say for sure which "thing" is still of the old world, except perhaps the very dwelling in which I live. I'm happy, hopeful, grateful and more peaceful for the first time in a very long time. Ready to dream of the next phase even as I realize more letting go is yet ahead. I've resisted writing a new entry because it's been such a long time now and it feels as though it is impossible to get back into the swing of things. Too many things have unfolded to even begin to attempt to update anyone on all of it. Feeling the need to reinvent, to start from scratch, to re-establish myself as the new me that has slowly but surely been dusting off the dirt that I've found myself choking on for the past two years. Perhaps there is no need to rehash. Now is all that truly matters and the thoughts that come and go seem absolutely earth-shakingly powerful one moment and barely interesting the next. Today birthed a few new thoughts that hadn't been in my consciousness quite in this way before. The first one was that I have tended to assume that I can provide healing for my clients just by holding a space for them, and that my mere presence and energy will help them shift. Suddenly, that thought reversed itself on me. What if my clients have been showing up all this time just so that I can shift while they hold that space for me. Briefly, I felt my brain go off-line, then I chuckled at the thought, and finally, I noted the truth of the statement. Yes, both and. The second thought came as I asked myself what I was most afraid of. The answer was that I fear my life will be ordinary. That I won't have made an impact. That one is still unfolding for me. For our ten year anniversary (how did THAT happen!!???) Bruce flew me to Florida to see my mom and best friend. It was a wonderful, although, a short visit. It was somewhat surreal being back in Florida. I missed it, felt it was still somewhat "home", and yet I also felt like a tourist and was happy to get back to MT. I suppose all of the above can be true all at once. Tamara and one of her Expressive Arts Florida partners, Elizabeth. It was so cool to finally see their new studio space! We spent some time playing with art supplies and Tamara showed me a process called "string drawing". Very Cool!! 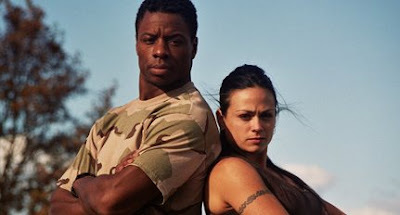 I know watching a TV show about someone else getting in shape won't actually get ME in shape but I have recently discovered the show "The Last 10 Pounds Boot camp" and find that it at least makes me question my own food choices and helps me motivate to work out. It is also a good reality check about what "keepin' on keepin' on" with my current diet and minimal exercise routine will get me vs. the results that I want. I sense some hard work and sacrifices ahead of me if I am serious about getting back in great shape.... We did decide to join the local gym (within walking distance) and we're both excited to be going again. I did catch another cold that swept through at work (and Bruce caught it) but I at least kicked it in a matter of a few days and I don't have the residual cough that usually lingers for weeks on end. And it is SPRING TIME and the weather is getting just beautiful!! All the more motivation to be outdoors and active. 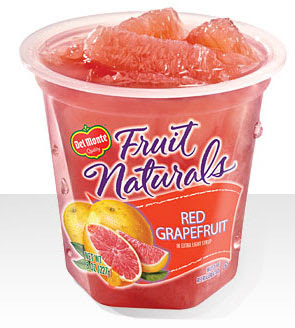 So Costco sells the Del Monte "Fruit Naturals" that are red grapefruit already peeled and in their own juice. I add one of those to my spinach, apple, water mix and..... mmmm...... It-makes-my-toes-curl heavenly goodness! I just realized today that eight people have signed on to drink the green smoothies since I started - that's pretty exciting. And more people are getting curious. I truly try not to be annoying and talk about them all the time but people do end up asking me questions and I am happy to tell them (and even let you have a taste since I bring at least 32 oz. to work with me each day). It's awesome to hear other people talk about the health benefits they are feeling since having started on the green smoothies. I am noticing more changes too. I become full way faster now. I haven't necessarily paid attention to that right away and have ended up over eating on a few occasions but my awareness around that is shifting, and that is good. Also, when I think about what makes me feel as if I over ate now as opposed to a few months ago, there is a huge difference. I simply don't need as much food. I do still enjoy the occasional sweets but I don't seem to rummage through the house in a desperate attempt to find chocolate anymore. Today I made a smoothie using two celery stalks, one banana, about 1 1/2 cups of frozen mixed berries and two cups of water.... Mmmmm..... 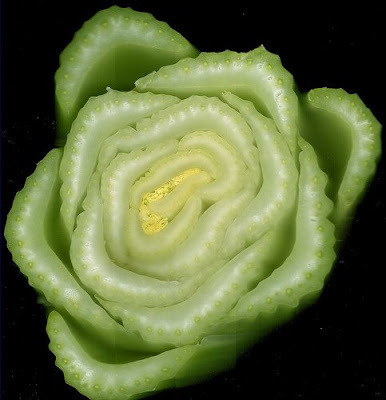 I know celery has wonderful cleansing (diuretic) qualities but I haven't always been crazy about munching on it without the help of some kind of dressing, so blending it in the smoothies allows me to have way more of its goodness without getting sick of the taste or adding unhealthy fats to go with it. Yay! Maybe I've already mentioned one of the biggest side effect that I've noticed so far, and that is that I don't feel the need for coffee in the morning. I never really felt dependent on it, but it was clearly a huge part of my morning routine (sometimes to the tune of 3 cups in a row - for the love of it). Now, I can choose to not have it and it doesn't feel like I've started my day missing out on something. Now, when I get a great cup of "Mocha Mud" from a local espresso stand, maybe once a week, I actually pay attention to its taste and savor it! I do notice a subtle shift in my energy as well. It's not a "wow, let me go run a marathon" kind of a shift, but I am definitely able to sustain focus and productivity throughout the day much better. I feel more motivated - less "weighed down". All of this has also inspired me to start practicing Qi Gong again. For a (long) while, I got very distracted and far away from practicing meditation, Tai Chi or anything else, and it finally feels as though I am ready to return to some good things that have been missing. I don't think that is necessarily thanks to the smoothies but there seems to be a shift overall toward wanting to take care of my body and spirit. Such a welcome shift!